So just how would you act out “Star Trek”? Everyone's favourite word guessing party game is now available on your TV from the comfort of your living room, thanks to your PlayStation 4. Act out a secret phrase and challenge up to seven friends and family to guess what it is in fast-paced competitive and co-operative modes. Dive into 1,500 hand-picked sayings in categories such as Films, Video Games, Music, TV, Books, Theatre and Proverbs. And if you fancy some extra entertainment, fire up the additional modes where you have to sing, draw or describe your hidden phrase. Could your gran guess “Jurassic Park” from your animated miming? Buy ACT IT OUT! 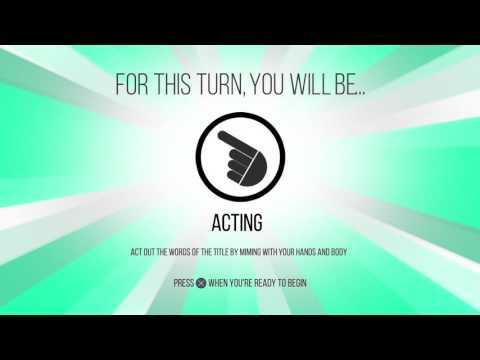 A Game of Charades on PS4.